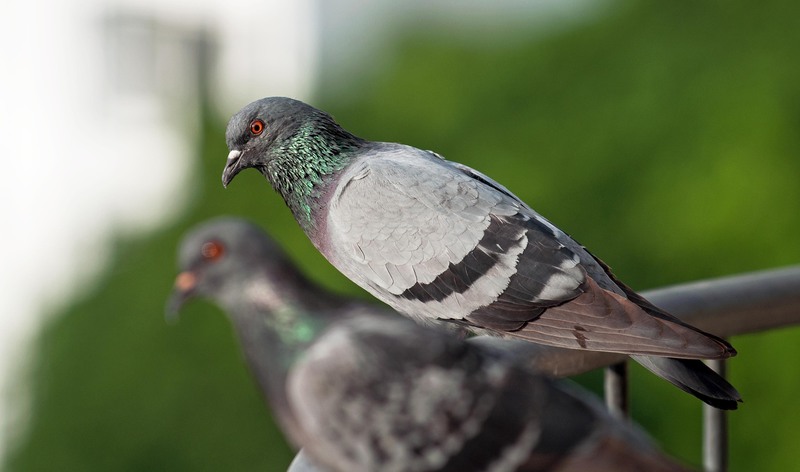 Feral pigeons (Columba livia domestica) – also called city pigeons or street pigeons – are extremely successful animals. They are derived from domesticated pigeons, which are themselves derived from rock doves. Rock doves nest on cliffs, and are relatively rare. On the other hand, feral pigeons have successfully adapted to our urban environment, treating buildings like artificial cliffs. Having gone through the process of domestication and artificial breeding, feral pigeons have a wide range of plumage (1). Rock doves were probably domesticated by man as far back as 10,000 years ago (2) and this process undoubtedly pre-adapted the feral pigeon to live alongside man. 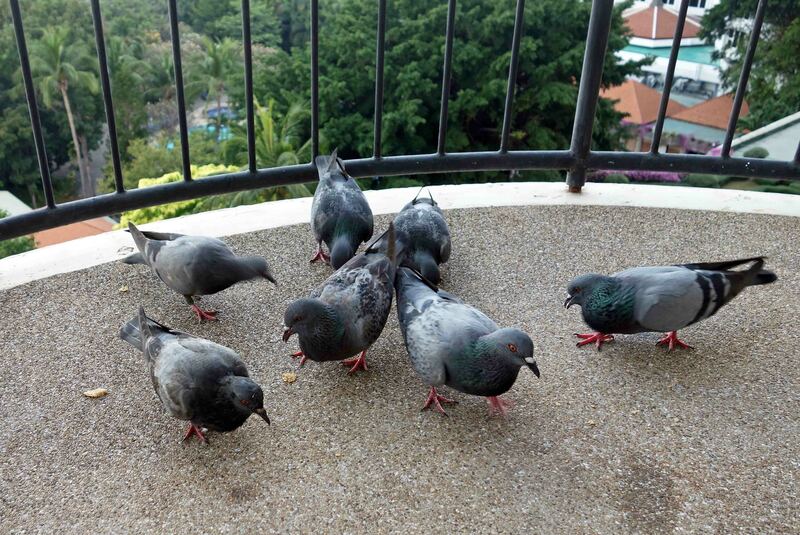 There are thought to be as many as 20 million feral pigeons in Europe, and worldwide they must number much more. Like us, they have become abundant and widespread. 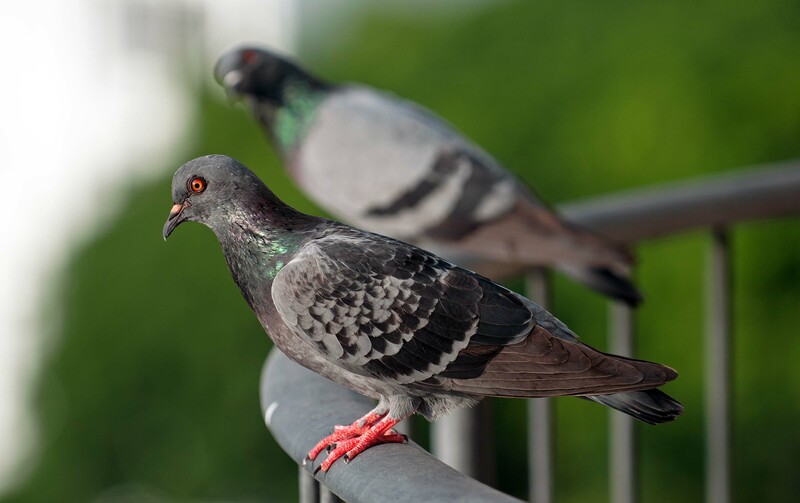 Most people like pigeons – they certainly like feeding them – and in the UK at least, it is an offense to kill or injure a pigeon, or destroy its nest, under the Wildlife and Countryside Act 1981. Large numbers can be a bit of a problem however, especially in cities, so in some places their numbers probably do need to be controlled. This is quite a controversial area however, but they are wrongly labelled as spreading disease, although their droppings do cause damage to buildings. 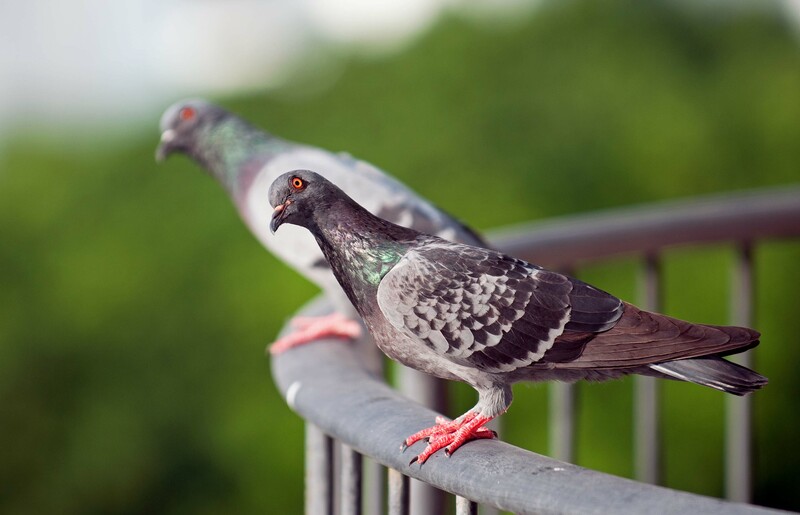 Feral pigeons mate for life and can live for quite a long time, sometimes as much as 20 years! The sexes can be quite hard to tell apart, until they start mating (! ), but the male bird usually has brighter iridescent feathers around the neck (see below). Species which are able to colonise and thrive in the urban environment – unlike many other rare or threatened creatures whose habitat we are destroying – will survive into the future. If we provide nesting places for them (tall buildings) and abundant food supplies (litter), then they are going to thrive and multiply (3). You have to admire their adaptability; they have learnt to live with us and in many ways they are much like us: urban, garrulous, greedy, populous and clever! I photographed these birds in Thailand. The numerous balconies on the tall hotel building I was staying in provided ideal ledges for them to sit on and survey the surroundings. Each balcony was also a potential source of food, depending on what tasty scraps or left-overs might have been left out by the occupants of the rooms. There was a sort of ‘bush telegraph’ system, such that when one bird found some left-over food on a balcony, the others soon followed. There were always some late-comers though, pecking hopefully at the floor even though all the scraps had been cleaned up. It is sometimes hard not to anthropomorphize!